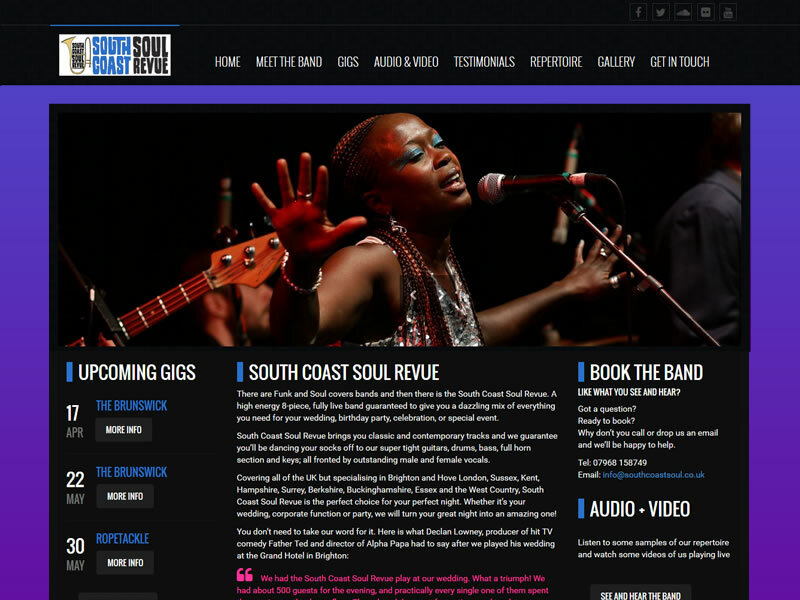 South Coast Soul Revue are a Brighton based band with an authentic soul sound. They work all over Sussex Kent Surrey and London. Their original website was out of date and they came to us for a fresh design. We provided a new design which reflects the dynamic of the band. The website is responsive and displays perfectly on mobiles and tablets as well as traditional desktop PC's.